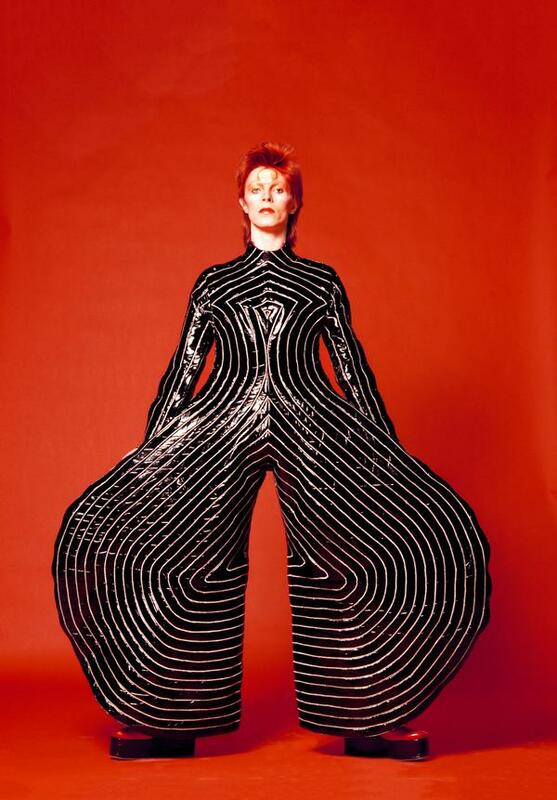 The David Bowie retrospective at Groninger Museum in Groningen, the Netherlands, took on a new meaning after the death of the singer on 10 January. Tickets sold out as fans flocked to the museum to pay tribute to the star, with the museum opening its doors on the day of Bowie’s death to grieving fans and adding a condolence book for visitors to sign. 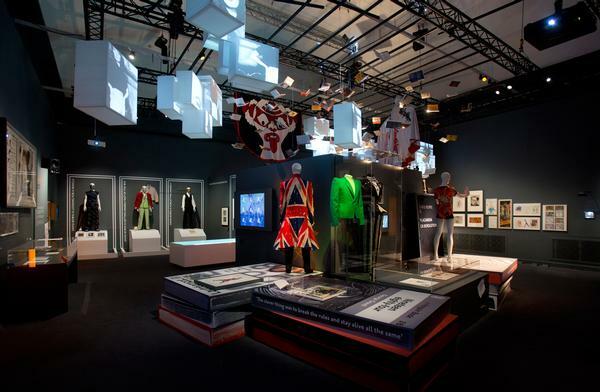 The museum sold more than 30,000 tickets the following week. The blockbuster exhibition, David Bowie is, has been seen by 1.3 million people worldwide since it first opened at London’s Victoria & Albert Museum in 2013. It heads to Japan in 2017. Bowie has been honoured with his own asterism of stars. Belgian radio station Studio Brussels and astronomers from the MIRA public observatory decided to develop a unique tribute to space-loving Bowie. 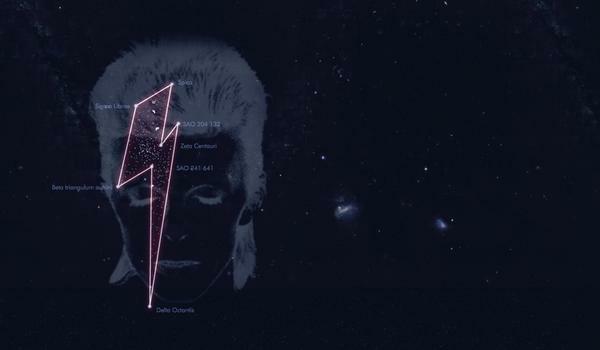 A lightning-bolt shape was picked out of the skies to create an asterism – an arrangement of stars that when joined up sketches Bowie’s trademark sign. 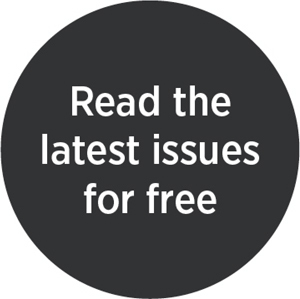 Astronomers should locate the stars Sigma Librae, Spica, Alpha Virginis, Zeta Centauri, SAA 204 132, and the Beta Sigma Octantis Trianguli Australis. 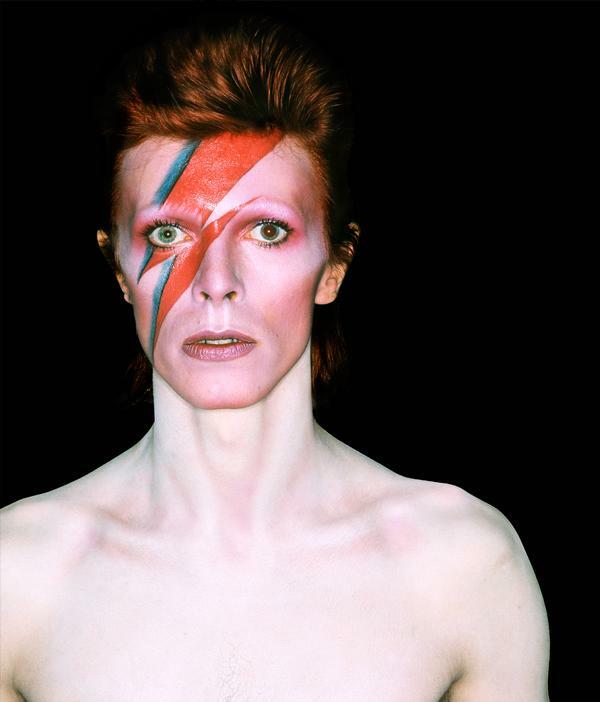 When David Bowie is debuted at the V&A in London in 2013, it was a groundbreaking exhibition, featuring cutting-edge multimedia technology as well as 300 objects from the artist’s archive. Created by V&A theatre and performance curators Victoria Broackes and Geoffrey Marsh, the retrospective reflected five decades of the artist’s reinvention and evolution. The technology included 7-metre-high (23-foot) video walls and multiple screens displaying carefully orchestrated stills, animations, graphics, video, sound and live feeds. Visitors were able to immerse themselves in soundscapes thanks to a 3D audio system provided by Sennheiser. 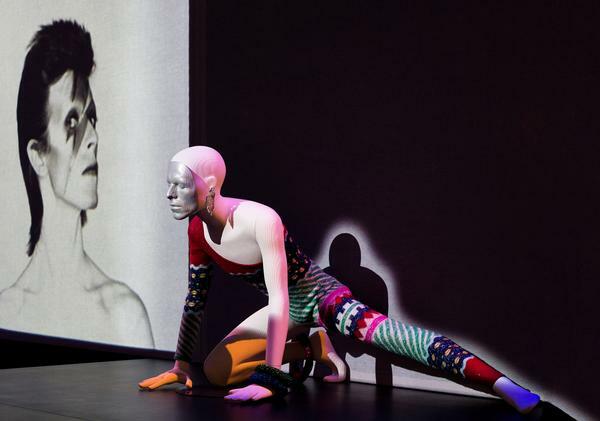 The digital part of the collection was offset by posed mannequins dressed in costumes from the Bowie archive, and video projection of live performances. 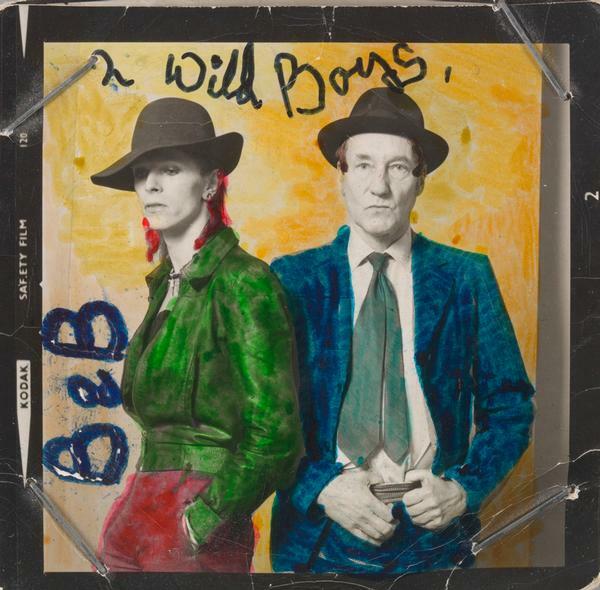 The physical archive also included handwritten lyrics, photography, set designs, album artwork, instruments and rare performance material, demonstrating Bowie’s influence beyond music – on art and design, film, theatre and popular culture. Following the runaway success of the V&A exhibition, David Bowie is went on tour to Toronto, Canada; Sao Paulo, Brazil; Berlin; Chicago, Illinois; Paris; Melbourne, Australia and Groningen in the Netherlands – and will head to Japan in 2017.